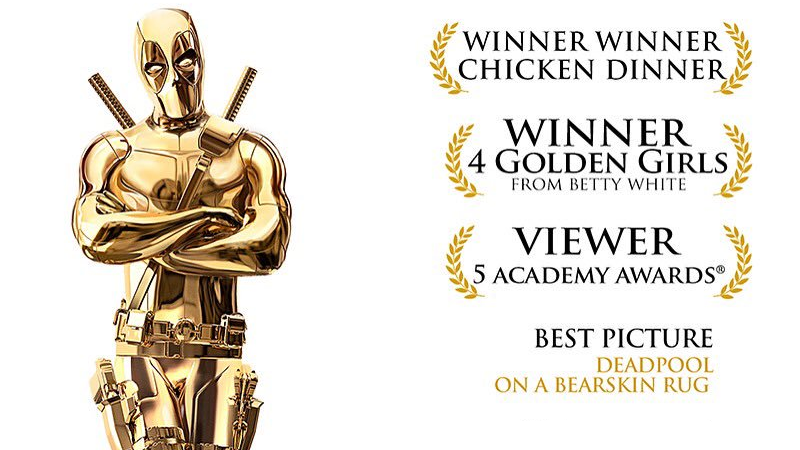 Ryan Reynold’s Deadpool pitch for the 2016 Oscars... an award season Deadpool *wasn’t* eligible for. Yes, we do live in the strange world where there is an actual chance Deadpool could nab itself an Oscar nomination for Best Picture. So what better way for the movie to pitch itself to the academy than by wheeling out its laser-guided marketing campaign once more? In the wake of the movie’s award season buzz reaching fever pitch, Ryan Reynolds took to Twitter to share an appropriately goofy “For Your Consideration” video that’s a little more than tongue in cheek. After all, it’s not really listing the actual accolades and nominations the movie has earned—it’s almost easy to forget among the goofballery of this film that it’s actually been monstrously successful for Fox—but instead stats like the number of imaginary unicorns in the film, the length of script and... the fact that at least four pairs of assless chaps were used. Impressive stuff. I bet that’s way more than La La Land had!